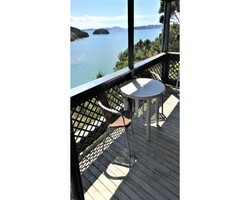 Overlooking the Bay of Islands and Te Haumi Beach, The Retreat Paihia offers free Wi-Fi. The spacious self-contained holiday accommodation boasts a private balcony with outdoor furniture and sea views. Each studio and apartment includes a separate lounge area with freeview TV, sofa and armchairs. 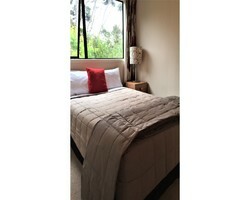 Heating, north-facing windows and a private bathroom with a shower are also provided. Facilities include a tour booking desk and secure car and boat parking. 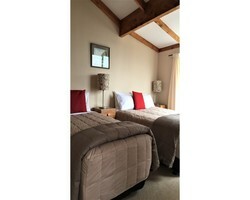 Just 2 km from the centre of Paihia, The Retreat is a 3-hour drive from Auckland. Haruru Falls is a 12-minute drive away and Waitangi Treaty Grounds are only 7 minutes’ drive away. 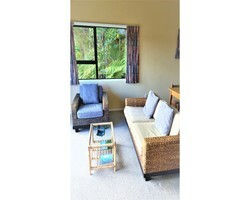 This property also has one of the best-rated locations in Paihia! Guests are happier about it compared to other properties in the area.